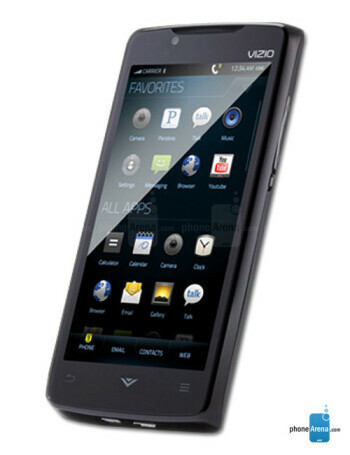 The Vizio VIA Phone is the first handset from the manufacturer. It runs Android 2.2 and it has 4" LCD screen, 5MP camera, VGA front-facing camera, HDMI port. The device has 2GB internal memory which can be expanded with microSD card slot.